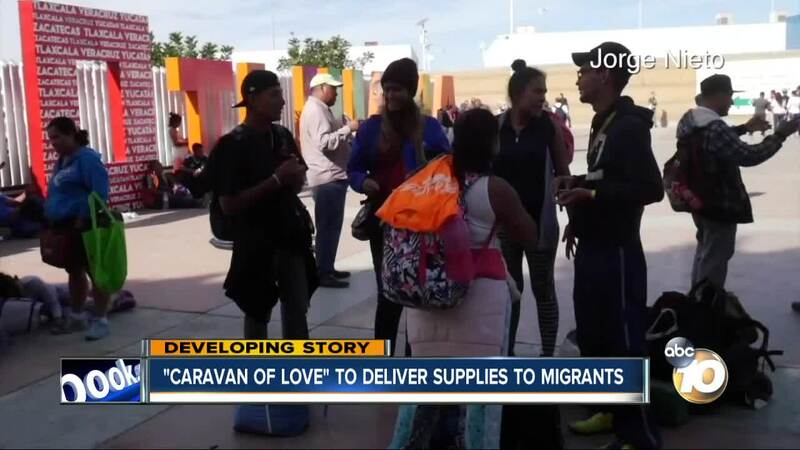 SAN DIEGO (KGTV) - More than 70 non-profit groups and organizations teamed up and collected supplies for the thousands of migrants that arrived in Tijuana after leaving Central America. Many are looking to enter the United States. Morones says atlas 30 groups will be represented when they make the delivery, which consists of non-perishable food, sleeping bags, toiletries, and more. “Just imagine if your house was on fire and you have to run out, and you have to live in the street, what would you need? It’s those same types of things because these people are escaping a very difficult situation in their home country… so they had to flee, they didn't have a lot of time to take things with them,” Morons said. Morones says doctors from UCLA and UCI will also be joining their Caravan of Love to give health exams to the migrants and families. “We wanna treat these people with kindness and love,” he said.